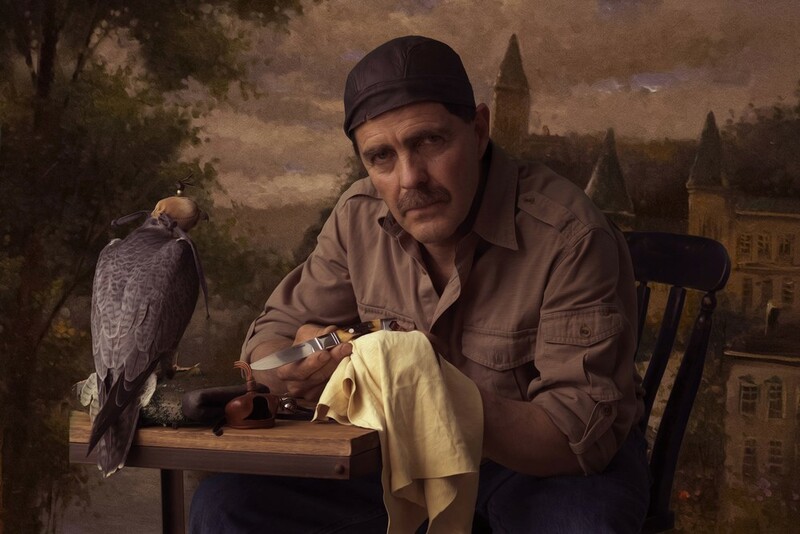 Photo shoot with Ricardo and falcon "Frightful"
This photo is of my dear friend Ricardo and Frightful, a Peregrin Falcon. 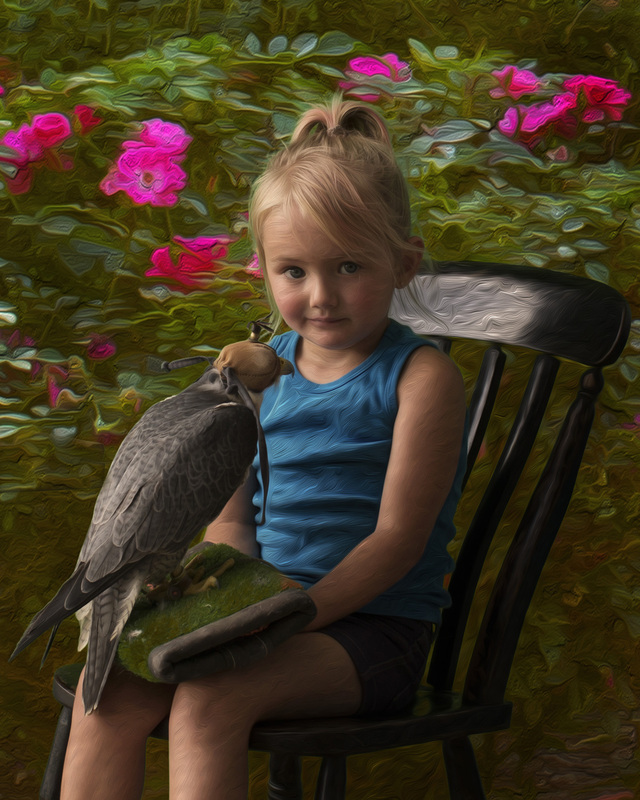 I am a Falconer and have a passion for capturing the beauty of this Lord of the Sky. This photo of Ella was an impromtu photograph. She was with our stylist and wanted to hold Frightful. Ella was so curious and brave! Frightful was as calm as can be! Photograph by Lynn Blodgett. All post work on this photo is by Lynn. Photographs are still a work in progress. These are all 1st edits.